Europe is confronted with a new geopolitical landscape, with energy a major nexus. The Russian annexation of Crimea and intervention in eastern Ukraine has shattered assumptions about the postwar and post-Cold War inviolability of national borders as well as much of Germany’s decades-long geo-economic relationship with Russia, called “Ostpolitik.” This policy fostered German business relations with Russia, and especially energy business, and had always been conducted under the assumption that vigorous German-Russian economic relations would eventually bring liberal-democratic political reforms and the norms of capitalist business (i.e., the rule of law) to Russia as well as its integration into Europe and the West. While fostering business indeed succeeded, the other aspects of Ostpolitik have now clearly failed, and energy relations in particular are a nexus of the unfolding German and EU collision. To gain deeper insights into these issues, I interviewed over a dozen experts in Washington working on European energy matters and spoke informally with many more at seminars, panels, and other events. Most of those interviewed work at DC think tanks. Some now are, or were until recently, with the Department of State, the Department of Energy, or the Central Intelligence Agency working on European energy matters or closely related topics. The names of those interviewed with affiliations are listed below, though who said what is confidential. Several have had past corporate energy careers in Europe—such private-public crossover is typical of Washington. Another difference from Europe is that not all these “U.S. experts” are actually from the U.S.; a few are transplanted Europeans who have worked on energy there and can thus speak with particular fluency about the German and continental energy sectors and how energy business and politics are conducted there. These U.S. experts interviewed often explicitly stated the view that Europe’s energy security is vital to U.S. national security. Indeed, in each of the four previous postwar energy crises affecting Europe, the U.S. and Europe, in spite of whatever policy differences existed pre-crisis, had no choice but to work closely to resolve these crises. Today, for the U.S., its energy relationship with Germany is of special importance as Berlin has been thrust into the position of “leader of Europe”—albeit “reluctantly” and “by default.” And, while ”Berlin isn’t as powerful as you think,” there remain good reasons why President Obama has persisted in explicit support for Chancellor Merkel taking the lead in the West’s confrontation with Russia’s President Putin over Ukraine. This is a new, more mature phase of the U.S.-German partnership, showing it to be complex and troubled, yet indispensable. Fossil fuels: Europe’s internal natural gas sector difficulties including infrastructure, governance, and market integration, which underlie European vulnerability to Gazprom manipulation of contract terms and to any cutoffs of Russian gas, especially that transiting Ukraine. Renewables: the trajectory of Germany’s Energiewende, the ambitious national program to produce a majority of the country’s electricity from renewables. Issues discussed here were its impact on Germany’s energy security, carbon production, electricity costs, and German business competitiveness in light of the U.S. fracking revolution as well as the program’s impact on its EU neighbors. The approach and capacity of Berlin, and to some extent of Brussels, to address energy vulnerabilities at home and across Europe; and, as a corollary, the difficulties of concern to U.S. experts when working with counterparts in Germany. In Europe one finds the criticism that U.S. involvement in European gas issues tends to go for the “big bang,” “magic bullet” solutions. This is a reference to the push during the Bush administration to build the now defunct Nabucco pipeline project, which was intended to bring a large amount of non-Russian gas via pipeline to Europe from the Caspian region, freeing the continent from its Russian gas dependence. However, many present and former U.S. officials and non-governmental energy experts explicitly reject reliance on big “magic bullet” projects as the way to ensure Europe’s energy security. Rather, Europe needs to execute a large number of “small projects” that would allow it to share gas supplies between member states and to store enough to overcome any import interruptions. In this regard, many stressed that important advances have taken place since the 2006 and 2009 gas interruptions in terms of infrastructure, governance, and unifying the European energy market. 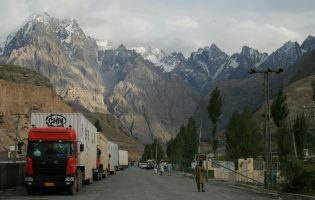 Probably the most comprehensive summary of these smaller infrastructure projects is contained in a recent report by the Washington-based Atlantic Council that strongly advocates completion of the “North-South energy corridor.”  Completing this corridor requires executing a list of various projects that would interconnect existing pipelines and allow reverse flow of gas, so that not only are former Eastern Bloc countries able to move gas between one another and accept supplies from westerly located EU members in the event of any Russian gas cutoffs, but also that this supply would provide some non-Russian gas supplies for the most Russian gas dependent states to use as leverage with which to resist unfavorable contract terms from Gazprom. A broad-consensus theme among U.S. experts in recalling the Nabucco project’s failure is that it was not a commercially viable project—there were neither reliable suppliers nor customers for the huge gas volumes being considered. Presently, there is a very strong U.S. commitment to the completion of the “Southern Corridor” pipeline, a much smaller project, with commercial viability, to bring gas from the Caspian Region to Italy and perhaps south-central European destinations via Turkey, Albania, and Greece, avoiding Russian control. In fact, Putin is making efforts to counter this project with a counter-project, Turkish Stream, largely under Gazprom control. The fact that Nabucco was not commercially viable, aside from whatever political problems and dysfunction of the European Commission in promoting its construction, is a frequent theme one also hears from European experts. However, one interviewee, familiar with details of EU-Russian gas relations, complained that the past and present EU energy commissioners, and hence their staffs, do not seem to understand this point. He related that, in meetings with the Russian gas industry negotiators, the commissioner complained that the Nabucco pipeline had been a victim of “political” disunity and incapacity in Europe. The interviewee complained that this is typical of the poorly prepared and informed manner in which EU commissioners have encountered Russian negotiators, who, in turn, are quite savvy as to the real dynamics in the EU gas sector. The complaint of Brussels being ill prepared and organized to deal with such issues was repeated by other interviewees. However, when it came to Berlin, the complaint was not that officials were ill prepared, but, on the one hand, that there are so few persons they encounter on visits to Berlin responsible for energy matters, and, on the other, the persistence of Berlin in, as interviewees see it, in either being politically unwilling and/or being unable to find mechanisms within the EU to address energy vulnerabilities. A major problem, raised by virtually every interviewee, is the institutional limitations of the European Union to implement natural gas infrastructure projects—precisely the plethora of “smaller projects” needed. This is partially due to the Lisbon treaty guaranteeing national sovereignty in energy matters to the individual states. 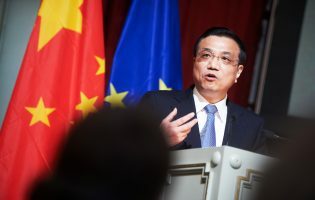 Other contributing factors include the difficulties the EU leadership has in narrowing down the list of hundreds of projects proposed by member states and that the European Council or Parliament can really only suggest member states carry out projects that are seen to be in the interest of the Union as a whole. So, for example, interviewees said that although Spain has access to liquefied natural gas (LNG), it is stranded from the rest of Europe because France rejects building any pipelines from Spain that could access the EU natural gas pipeline network. This refusal has to do with the interests of French energy companies who have adamantly blocked competition from foreign gas and electricity supplies. So, too, interviewees stressed that Croatia has tried for ten years to build a LNG regasification terminal to escape Russian import dependence, and it could also send gas to assist other states. But, as a small market, it needs cooperation from its neighbors, which for political reasons is not forthcoming. The solution in many cases like Croatia’s would be for the EU to finance such projects. However, the EU is prohibited from initiating projects; it can only contribute to financing projects undertaken by member states. Again and again, in describing gas infrastructure projects Europe needs to implement, Washington interviewees cited institutional roadblocks of national energy sovereignty and the EU’s inability to fund projects. As counter-examples, a number of interviewees cited the positive efforts by Poland, which built the Świnoujście LNG terminal, and by Lithuania, which purchased the Klaipėda LNG floating storage and regasification unit (FSRU), to enhance their gas independence from Russia by financing these expensive projects with national funds. Such projects that boost security often are “not commercially viable” and arguments are heard from Berlin against funding gas infrastructure that is motivated by purely commercial considerations—accompanied by assertions that a “well-functioning market” is the key to energy security. While interviewees valued a well-functioning market, nevertheless Berlin should see that “energy security is an externality” and has to be somehow funded by the (German or EU) state apparatus. After all, the environmental burden of carbon dioxide from fossil fuels is also a market externality which Germany has no hesitation to fund. Experts did not merely chalk up this “institutional incapacity” within the EU to politics or incompetence. Most emphasized that this incapacity on the level of Brussels rests on the fact that the Lisbon treaty ensures the “national sovereignty” of member states in matters of energy policy. Virtually all interviewees pointed up the importance of the EU enhancing the effectiveness and authority of the European Commission’s newly-declared “European Energy Union” (EEU). In every case, the EEU was seen as a positive development but is also more broadly seen as an ill-defined “aspirational” effort rather than, at present, a real force. However, step-by-step, this institution will likely be able to erode member states’ present abilities to pursue narrow self-interests in energy matters at the expense of what is seen as more rational and secure Union-wide policies. In the case of Germany’s domestic energy policy, U.S. experts admire the transition to renewable energy, but, time and again, interviewees found “incomprehensible” or “inexplicable” or “irrational” many aspects of how this has been implemented. In particular, the elimination of nuclear energy is seen as counter-productive: a minimal threat in Germany from an infrastructure that is largely already paid for and that provides a reliable electrical base load without producing carbon. In light of the problems that take time to resolve of integrating variable wind and solar renewable electricity into the grid and the technical and financial problems of building the high-voltage long-distance power lines from the north of the country, where the new wind resources are located, to the south, where the industrial demand is located, the anti-nuclear policies were seen as “irrational” and “crazy.” However, the nuclear-elimination decisions are probably “irreversible” due to a combination of particular social, cultural, and environmental factors of German society. So, too, how the population and industry alike in Germany appears to accept such high electrical prices as compared to price elsewhere is difficult for U.S. experts to understand or explain. In light of the elimination of nuclear base load and the U.S. production of large amounts of gas by fracking, which has lowered the price of U.S. coal, Germany has been importing large amounts of carbon-intensive coal and continues to use its own even worse lignite (brown coal). This has negated much of the carbon emissions reduction from new renewable sources in Germany. Because Berlin will never reverse its nuclear abandonment, it must make a long-term commitment to increased gas consumption for electrical generation both at home and in the EU generally. Time and again, it was stated that this could be accomplished by establishing a functioning carbon market in Europe that would enhance the affordability of low-carbon-emissions gas versus high-carbon-emissions coal. This again returns to the question of national sovereignty of EU member states; many of which, such as Poland, rely heavily on coal and refuse such measures. Another objective would be for Berlin to incentivize production of domestic German and EU shale gas via fracking. Shale gas resources available in the EU (including some eastern member states) are not as potentially “revolutionary” as they have been in the U.S; nonetheless, as with the argument that Berlin should work harder for EU states to build LNG import capacity, interviewees stressed that Berlin should appreciate the importance of marginal supplies to affect market price and contract terms generally. For example, German officials who repeat that Germany will not have a lot of shale gas if fracking is promoted, nor will it ever import much LNG if a new terminal is built, are “missing the point” about the impact of marginal supplies on the overall market. Germany’s interest in and activities on the larger gas market security issues affecting the EU as a whole are tempered by the Schröder government’s decision to build the “North Stream” pipeline directly from Russia, bypassing the Baltic States by passing under the Baltic Sea. Russia purposefully does not “mess with” this supply to Germany, while taking a quite different attitude to the Baltic States, Poland, and other former USSR satellites. This provides Germany with a sort of supply security and an energy relationship with Moscow that is quite unlike that of its highly vulnerable neighbors closer to Russia and more vulnerable to Gazprom’s pressure tactics In fact, this pipeline has made Germany somewhat of a gas hub, which is a lucrative business. Interestingly, one expert, after expressing great consternation about what he sees as a lack of active efforts by Berlin within the EU to foster gas integration, offered an example. Recognizing that there is little hope of Germany building the LNG import terminal in the north at Wilhelmshaven (a project cancelled some years ago), if Berlin would “just think a bit geo-strategically,” then, for example, for a “mere $50 million,” it could publically “commission a project to study” the feasibility of completing this project. He stressed how this would impact the confidence of Gazprom about its North Stream pipeline remaining the country’s dominant supply. In his estimation, this would immediately have an impact on the calculations of Gazprom, putting it off its market game for Germany, causing worry that even Germany might have made a strategic decision to diversify supplies. No one need know, he stressed, if this was a fake or real project; but the point is, if one “thinks geo-strategically” with respect to gas, there are “lots of things” that can be accomplished. Europe is facing difficulties and instability in especially its imported natural gas supplies from most of its periphery. North Africa, the Gulf Region, Caspian, and especially Turkey as a transit state and its recent agreements with Gazprom were discussed; however, the area of principal focus was Europe’s supplies via Ukraine from Gazprom. The reasons why this crisis is expected to worsen vary. One asserted that, if a “frozen conflict” is indeed Putin’s goal, then that is actually quite “troubling as the present situation is not sustainable for Russia.” Considering the requirements of providing electrical and water supplies for Crimea, especially given its climate and tourist-dependent economy, he felt Moscow has to establish a land connection from rebel-controlled territory in the east through the city of Mariupol to Crimea. Otherwise, a settlement or peace treaty with Ukraine would be required to accomplish this for Crimea. Another energy expert expressed a strong opinion that the conflict is threatening to get out of control of both the Russian and the Western sides. The economy is weaker than generally understood, and there is little hope of needed reforms being implemented independently by the Ukrainian government in sufficient time. (This pessimistic view of the rate of Ukrainian reforms was widespread.) In his opinion, without decisive, combined action by Washington and Berlin, and a willingness to commit really significant funds—a willingness that does not currently exist in either capital—with a timeline for regular checks on implementation as a condition for each tranche, an economic crisis or collapse cannot be avoided. He added that the U.S. side, even those who clamored for arms to Ukraine, are just as unwilling to commit the funds necessary to avert economic crises. The thought here is that an economic crisis or collapse could cause “Maidan III” protests and what comes thereafter would likely be out of control of both Russia and the West. Significant economic aid, linked to verifiable reforms, is what is needed in Ukraine, whatever might happen with military assistance. Another who had participated in assisting Georgia long after it was assumed “a basket case,” stressed that Georgia’s turnaround should be a source of U.S.-EU optimism for “nation building” in Ukraine, as Russian intervention focuses its resolve just as it finally did Georgia’s. It would be easy to conclude that the previous U.S. emphasis on the Nabucco project and present emphasis on many smaller gas security-enhancing projects in Europe reflects a change in policy between the Bush and Obama administrations. While there are changes in policy on various issues, one interviewee working in government cautioned this change likely reflects an evolution in the capacity of U.S. energy diplomacy over this period. Indeed, this touches on an important difference between Washington and Berlin. The development of new energy diplomacy capacity in Washington (and in parallel, further non-governmental capacity) came across strongly in the process of these interviews. Besides the previous existence of, for example, the International Bureau of the Department of Energy (DOE) and the Energy Information Agency of the DOE, a significant augmentation of U.S. energy diplomacy capacity came about due to the establishment in 2011 of the Bureau of Energy Resources (ENR) within the Department of State, after a long period of discussions of the importance of raising the energy capacity in the Department. The Bureau and its U.S. Special Envoy for Energy Affairs have been very active in European energy issues and with respect to the Ukraine crisis. These institutional developments in the U.S. are notable in particular because of the contrast to Berlin and “the same five guys” and of officials there “that can be counted on one hand” dealing with issues of energy and diplomacy. This contrasts strongly with the large number of persons focusing on European energy and related topics in both official and un-official Washington. Of course, Germany is a significantly smaller country and the U.S. has over a century of experience in great-power energy diplomacy. However, the rhetorical question posed in some form by several interviewees was: How can the Germans deal with Europe’s present energy challenges with such a small number of people? The small number of stakeholders is partially because German policy is mostly developed by the permanent staffs of political parties working in parliamentary offices, and this policy formulation process does not therefore generally see the light of day. The think tank community is quite small in Berlin, both because think tanks have not traditionally served the policy development and advocacy roles they do in Washington, and because Germany does not have the tradition of individuals passing back and forth between government and business or think tank positions as is the case in Washington. All of this significantly diminishes the volume of public meetings and non-governmental policy research on energy, as well as on other social, political, or economic issues. More than one interviewee, who has gone repeatedly to Berlin, remarked that he has had difficulties understanding “how policy is made” there and how the work (papers, research, etc.) done by people at German institutes affects government policy formulation. On one hand, a consensus emerged that Chancellor Merkel has accomplished a lot under difficult circumstances since the beginning of the Ukraine crisis, especially in negotiations with Russia and Ukraine and in rallying EU member states to impose sanctions. This required a significant re-orientation of German policy. One theme reiterated in some fashion by three or four interviewees was that, when meetings or discussions are held on the topic of “short- and medium-term” energy security in Europe, the German side, quite unlike other participants from Europe, insists on titles and agendas labelled with “sustainable” and “renewable.” It is important to note, in this regard, that interviewees uniformly expressed admiration for the general goals and accomplishments to-date of the German Energiewende as far as promotion of renewable energy is concerned. However, a few interviewees said it is inappropriate for Germany to insist on talking about this at times when the agenda is about other matters. It was said by several interviewees to feel like propaganda “aimed at the domestic audience” and done with a “superior tone” and even as a sort of “moralizing” or “shaming” of others. Realistically just as much emphasis should be (newly) placed on Brussels, as its Europe-wide role will not only ultimately be the key one on matters of continental energy and related geo-strategy (although that day is rather far off); but Berlin itself uses the ongoing transference of authority from member states to Brussels as an excuse for its own leadership limitations. Germany has been thrust into a “leadership” role with which it has little experience, and on issues such as energy and geo-strategy with which it has, as any power, its own national interests. This would present difficulties for any state. And, this may lead to major problems for Europe, as the energy and geo-strategic problems it now faces might not evolve slowly enough to allow Germany, or for that matter any other member state or Brussels, sufficient time to overcome various structural incapacities. However, for Germany, on the one hand there would seem to be particular and unique ideological and political-cultural impediments within the country’s leadership that are hindering its ability to take up the geo-political mindset required to exercise “leadership in Europe.” On the other hand, even if Berlin were to rapidly transform these issues in its culture of political and international relations, the structure of the EU itself—such as the “structural incapacities” discussed above—severely impede the ability of the Union to be led by any member state. Again and again, while some interviewees almost exasperatedly complained that Berlin needed to “take leadership” on this or that measure to enhance EU energy infrastructure, governance, or market functioning, or to confront Moscow, others stressed, in some form that Merkel “has to lead through the Council” and “there are twenty-eight persons” there who have to agree on any measure. And a few interviewees indicated that, in fact, if Germany were to take stronger positions it would likely backfire in the Council. This leaves the question of Brussels itself taking more of a coherent and decisive role in addressing Europe’s energy imperatives. This, too, will be a long process of development. However, a danger that seems to arise for Berlin during this is that, as competencies and responsibilities pass slowly but progressively to Brussels, this is giving the political and business elites in Germany further outs from finding ways to exercise more of a leadership role on the excuse that matters are passing out of its hands. An implication of the difficulties for Germany or any other European entity exercising the needed leadership on European energy and geo-strategic matters is that “leadership by default” will remain much more than Europe desires in the hands of Washington, particularly if the Ukraine crisis and relations with Russia evolve in a more dangerous direction. 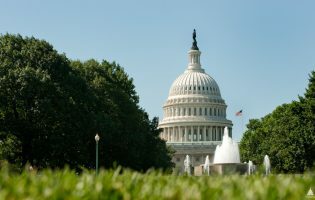 If nothing else, it is clear that there is a significant core, or cohort, of experts inside and outside of government in Washington that is daily and actively engaged with reducing the energy vulnerabilities of Europe and, in particular, is actively working to enhance the ability of Washington and Berlin to act cooperatively. 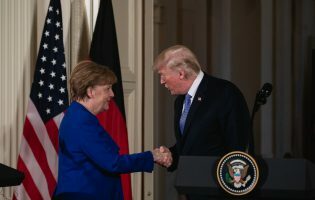 The clear sense is that European energy security is vital to U.S. national security, and that Berlin is for now the most important factor among several in addressing European energy vulnerabilities. However, there is good reason for Washington to look to and to encourage Brussels to enhance its leadership capacity. * Note: Not all are from U.S.; which is common, even in secretaries of state. Dr. Thomas O’Donnell was a DAAD/AICGS Research Fellow in April and May 2015. He is an academic, analyst, and consultant with expertise in the global energy system and international relations. This work was conducted as a resident fellow of the American Institute for Contemporary German Studies (AICGS), in Washington, DC, funded by a generous grant of the German Academic Exchange Service (DAAD) with funds from the German Foreign Office. For example: Angela Stent, “Ostpolitik Reset: How Germany is Re-Evaluating its Relationship with Russia,” AICGS Transatlantic Perspectives, 7 April 2015 and Jakob Mischke and Andreas Umland “Germany’s New Ostpolitik: An Old Foreign Policy Doctrine Gets a Makeover,” 9 April 2014. The viewpoints of corporate executives are of interest as well, especially from international oil companies (IOC) and service companies based in the U.S. that work in German, European, and/or Russian energy matters. 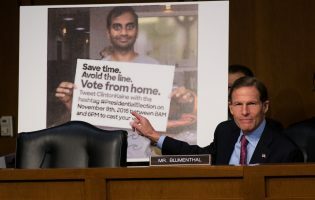 However, generally those contacted in DC indicated that their companies’ experts on Europe are in Europe or at the firm’s headquarters elsewhere in the U.S. The same can be said for the U.S. financial sector experts on European energy. I also asked questions of speakers at numerous public meetings. Those responses are public and often available in online videos as is common for Washington institute events. The intention is to next look at the energy relationship from the perspective of the German side via similar interviews in Berlin. “Europe’s reluctant hegemon: Germany, now the dominant country in Europe, needs to rethink the way it sees itself and the world, says Zanny Minton Beddoes,” The Economist, Special Edition, 15 Jan 2015. “Germany, Leadership Scorecard, 2015,” European Council on Foreign Relations (ECFR). Parke Nicholson, “The Myth of a Mighty Germany: Berlin Isn’t as Powerful as You Think,” Foreign Affairs, 1 June 2015. David Koranyi and Ian Brziezinski, “Completing Europe: The North-South Corridor,” Atlantic Council, 20 April 2015. The study itself is “Completing Europe – From the North-South Corridor to Energy, Transportation, and Telecommunications Union” led by former US National Security Advisor Gen. James L. Jones, Jr., USMC (Ret.) and the Chairman of the Board of Directors of CEEP Pawel Olechnowicz. In the interests of seeing the forest, not every individual tree, I am speaking in generalities avoiding names of specific projects here. “Don’t Cry for the Nabucco Pipeline,” Reuters, 1 May 2014. Note: The Bureau of Energy Resources, established several years ago within the State Department in the later years of the Bush administration and headed presently by Special Energy Representative Amos Hochstein has been very active in the Obama administration. This phenomenon deserves attention from analysts and academics. In late-June 2015, as this is being written, progress is being reported in diplomatic efforts by Miguel Arias Cañete, the EU energy commissioner, to convince France to allow gas to flow from Spain by agreeing to a new pipeline being built, in conjunction with which Algeria agrees to about double its pipeline supply to France and to make the sales according to EU energy market rules. Reportedly, “… the EU’s heightened strategic tensions with Russia are pushing policy makers to diversify their supplies.” See “France, Spain and Portugal look to unlock Algeria gas exports,” Financial Times, 23 June 2015. “National sovereignty” is shorthand for what the Treaty of Lisbon (2007) actually says. Among other things, its new energy section states, “Such measures shall not affect a Member State’s right to determine the conditions for exploiting its energy resources, its choice between different energy sources and the general structure of its energy supply, without prejudice to Article 192(2)(c).” The “EUROPA” official site explaining the Treaty’s energy provisions is available here until 30 June 2015, after which the page is to be closed and such information will be on the EU’s “Eur-Lex” page (however, explanation of this energy provisions could not be found there). For non-official explanations, see “The Lisbon Treaty and Sustainable Energy” and see analysis by the Jack DeLores Institute, especially Section “An upsurge of the primacy of national energy independence and unilateralism” at pp. 19-20. The non-governmental energy analytical capacity in Washington is considerable and this stands also in contrast to the situation in Berlin. For example, the premier institute in Washington for energy affairs is the Center for Strategic and International Studies (CSIS) and two of its energy experts were interviewees, while a number of the panels on European energy and closely related issues which greatly benefited the present research were held there. In addition, notably, the Atlantic Council has recently founded a new Global Energy Institute, whose directors include a number of former U.S. diplomats with significant experience in European energy matters (and three Atlantic Council fellows were interviewed for this project), including its founding director, Ambassador Richard Morningstar. As it has in my energy research over several years on issues of Middle East and Latin American OPEC states. The Energy Information Agency (EIA) was established by Congress after the energy crises of 1973, contemporaneous with the OECD’s International Energy Agency (IEA), based in Paris, being established. The first director (2011-2014) was Ambassador Carlos Pascual, a former U.S. ambassador to Ukraine. For example, see at the German Marshall Fund and on Greek energy policy. “ Video: A Conversation with Wolfgang Munchau,” CSIS, 16 Apr 2015. As to this excuse of inability to act decisively on energy matters on the part of Berlin, this is stated, for example, in a recent paper by Kirsten Westphal and Severin Fischer, “Energy and Statecraft: A German Perspective,” Reducing Vulnerability: A Transatlantic Approach to Energy Security, AICGS Policy Report 60 (2015). And, to be fair, in discussing Germany’s difficulties, one should not lose sight of the fact that Berlin is thrust into this position not only due to its own economic, social, and other successes, but also by the fact that EU member states who do have this sort of “leadership” experience, specifically France and Britain, who are reneging on their leadership responsibilities within the European project. 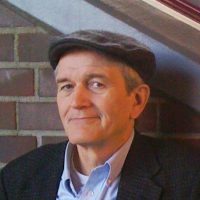 Thomas O’Donnell was a DAAD/AICGS Research Fellow in April and May 2015. He is an academic, analyst, and consultant with expertise in the global energy system and international relations. At AICGS, his focus is “U.S. Expert Perspectives on German Energy Vulnerabilities.” Dr. O’Donnell’s teaching and research have encompassed the EU and Russia, Latin America, the Middle East, China, and the USA. His PhD is in nuclear physics from The University of Michigan at Ann Arbor; for the past 15 years he has primarily taught post-graduate international relations and development with a focus on energy and natural resource issues, including at The University of Michigan, The Ohio State University, at The New School University’s JJ Studley Graduate Program in International Affairs (NYC), and at Freie Universität’s JFK Institute (Berlin). At his blog, the GlobalBarrel.com, he follows issues of energy and international affairs, and he also writes frequently for the IP Journal (Berlin), Americas Quarterly (NYC), and Petroguía (Caracas). Throughout 2008-09, Dr. O’Donnell was a U.S. Fulbright Scholar and Visiting Professor in Caracas at the Center for the Study of Development (CENDES) of the Central University of Venezuela (UCV). He is a Senior Analyst at Wikistrat and consults with various other geopolitical, business-intelligence, and advisory firms. Before doing his PhD, Dr. O’Donnell spent a decade working in U.S. industry, gaining technical experience in automobile manufacturing, railway operations, large-scale HVAC, and in power generation. He has also worked as a radiation safety and health-physics officer at a research nuclear reactor and in medical and other settings. In experimental nuclear physics, he conducted basic research at several particle-accelerator and national laboratory facilities in the U.S., Japan, and elsewhere; and is author or co-author on about 40 peer-reviewed scientific papers. Since 2012, he has lived in Berlin with his wife and youngest children. He speaks English, Spanish, and functional German.